Virtualization has drastically changed the landscape of modern computing everywhere in the world today. Whether it’s about on-premise data center solutions, or companies that run their entire business in the cloud, Virtualization has become an integral part of these solutions. Today customers have plethora of virtualization softwares a.k.a hypervisors to be chosen based on the use case and licensing. One name which tops the list of Hypervisors is KVM. KVM has made a place for itself among the industry's most outstanding hypervisors for Linux. Currently, this hypervisor is deployed in a wide variety of processor architectures; even on mobile devices. In addition, KVM is an important element in Network Functions Virtualization (NFV), since it drives the networking software from hardware with high performance and low cost. This unique characteristic has helped KVM to become one of the favorite Hypervisor in a typical Service Provider infrastructure. Thanks to its Open Source development model, which has evolved exponentially over the time due to community development efforts. This also brings in new opportunities because more and more companies are turning their back to propitiatory software. Infoblox provides vNIOS QCOW2 images which enables customers to deploy large, robust, manageable and cost effective Infoblox grids on KVM, that provide core network services. Infoblox vNIOS QCOW2 images are validated and supported on Red hat Enterprise Linux 7.x and Ubuntu 14.04 and Ubuntu 16.04 operating systems based KVM. Infoblox vNIOS supports SR-IOV based vNIOS deployment. The benefit of using SR-IOV over more traditional network virtualization is that in SR-IOV virtualization, the vNIOS is talking directly to the network adapter through Direct Memory Access (DMA). Using DMA allows the vNIOS to bypass virtualization transports such as the VM Bus and avoids requiring any processing in the management partition. By avoiding the use of a switch, the best possible system performance is attained, providing close to “bare-metal” performance. Using vNIOS QCOW2 images, customer can deploy can deploy robust and large scale Infoblox grid. 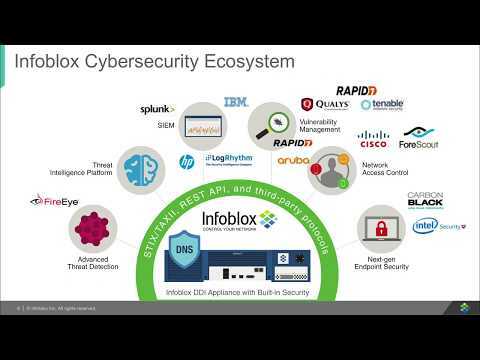 Infoblox is very much committed to test, validate future releases of KVM hypervisor.